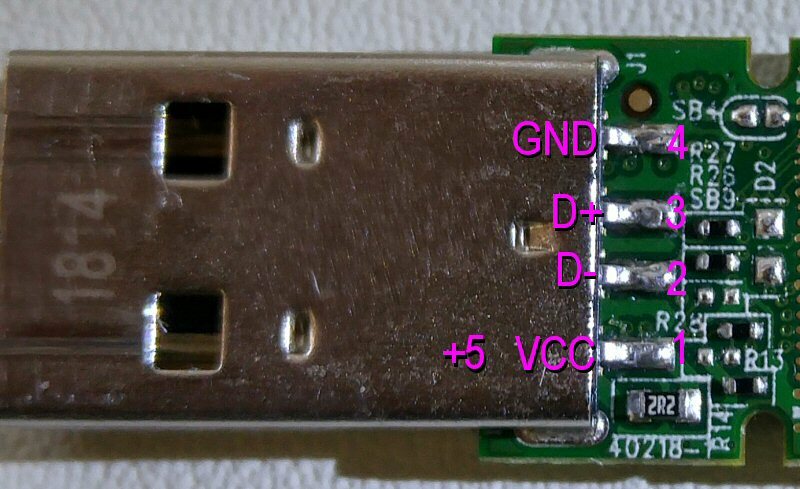 It’s not uncommon to see a USB flash device (UFD) with a broken connector. In many cases the the micro traces get torn so just replacing the connector won’t work. 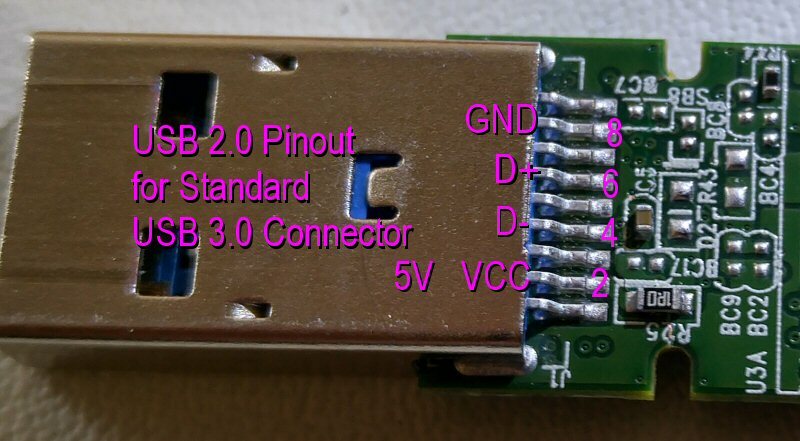 If you are sure you just need to replace the connector here are the common pinouts for wiring the USB pen drive connector. Use this information at your own risk! 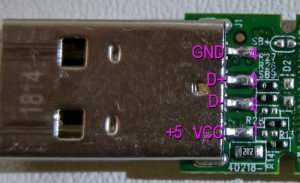 To the left is the standard 4 terminal pinout for a USB 2.0 flash drive (AKA thumb drive). For USB 3.0 you can see that pin 2-4-6-8 are the usual pins if you just want to wire it up for USB 2.0 reading. At Blizzard Data Recovery we typically mount new connectors, but it’s not uncommon to see DIY or even data recovery techs use wires to connect to a broken device. Warning! 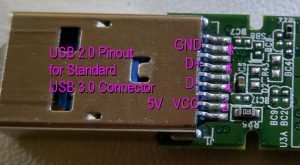 Not all USB 3.0 connectors are created equal. 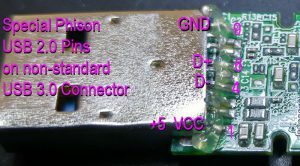 We have seen a few USB flash drives with Phison controllers that use a non-standard USB 3.0 connector. If you wire a connector using the wrong pin-out you will most likely fry the controller, at the very minimum. If your data is important then don’t risk losing it forever, send your failed media to a qualified professional for recovery.